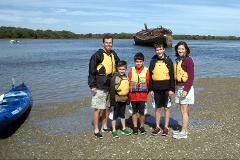 THE FAMILY TOUR is two hours of fun with your guide; designed for families with younger children(4-12yrs), even the grandparents. 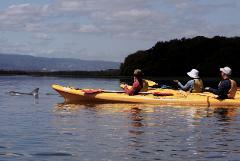 This tour explores sheltered mangrove creeks & searches for dolphins. 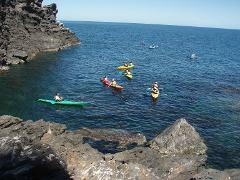 This is a GIFT VOUCHER for a Flat Water Fun Kayaking Lesson in the Dolphin Sanctuary. 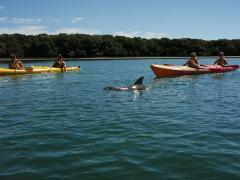 This is a GIFT VOUCHER for a Dolphin Sanctuary and Ships Graveyard Kayak Hire (1p kayak). 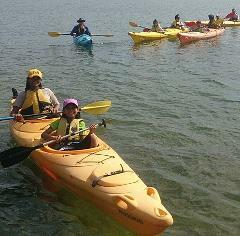 Kayaks are ready for you at the launch site. We will supply a map and advice on best spots, help set up then you create your own unique adventure! 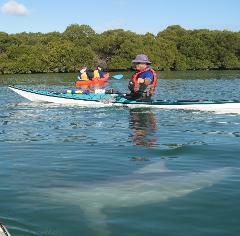 This is a GIFT VOUCHER for a DOLPHIN SANCTUARY SUP TOUR. 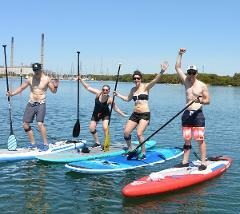 Stand Up Paddle Boarding is all the rage and the Adelaide Dolphin Sanctuary is the calm water location in Adelaide to give it a try! 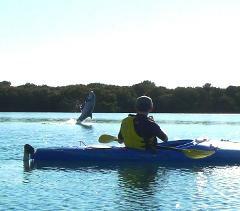 This is a GIFT VOUCHER for a DOLPHIN SANCTUARY SUP Hire. This voucher is for 2 hours SUP hire. 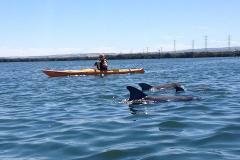 Stand Up Paddle Boarding is all the rage and the Adelaide Dolphin Sanctuary is the calm water location in Adelaide to give it a try! This is a gift voucher valued at $25 and valid for 12 months that can be used towards any of our products. This is a gift voucher valued at $30 and valid for 12 months that can be used towards any of our products. This is a gift voucher valued at $40 and valid for 12 months that can be used towards any of our products. This is a gift voucher valued at $50 and valid for 12 months that can be used towards any of our products. This is a gift voucher valued at $60 and valid for 12 months that can be used towards any of our products. This is a gift voucher valued at $70 and valid for 12 months that can be used towards any of our products. This is a gift voucher valued at $100 and valid for 12 months that can be used towards any of our products. This is a gift voucher valued at $140 and valid for 12 months that can be used towards any of our products. This is a gift voucher valued at $120 and valid for 12 months that can be used towards any of our products. This is a gift voucher valued at $160 and valid for 12 months that can be used towards any of our products. This is a gift voucher valued at $180 and valid for 12 months that can be used towards any of our products. This is a GIFT VOUCHER for a DOLPHIN SANCTUARY SUP Hire. This voucher is for two hours SUP hire. 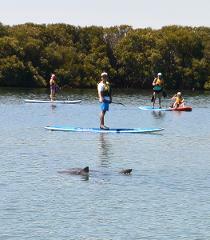 Stand Up Paddle Boarding is all the rage and the Adelaide Dolphin Sanctuary is the calm water location in Adelaide to give it a try! This is a gift voucher valued at $80 and valid for 12 months that can be used towards any of our products. This is a gift voucher valued at $175 and valid for 12 months that can be used towards any of our products. This is a gift voucher valued at $155 and valid for 12 months that can be used towards any of our products. This is a gift voucher valued at $90 and valid for 12 months that can be used towards any of our products. This is a gift voucher valued at $125 and valid for 12 months that can be used towards any of our products. This is a gift voucher valued at $240 and valid for 12 months that can be used towards any of our products. This is a gift voucher valued at $200 and valid for 12 months that can be used towards any of our products.